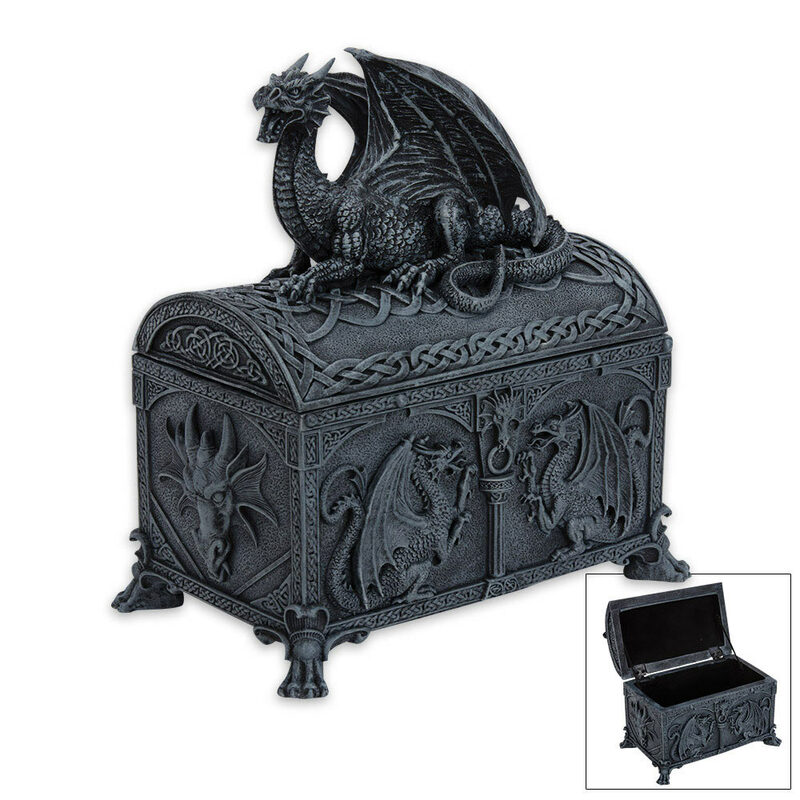 Keep your favorite gems and treasures safe within this Celtic dragon treasure box! Our tallest dragon box, this model is designed to look like a miniature ancient chest. The box is lined with Celtic knotwork designs and Medieval dragons. Constructed of hand-painted cold cast resin, this pieces measures 7 in. high by 6 1/2 in. wide. Saw this & just had to have it, showed my husband & he said, "get it", I did & everyone I know likes it! I see that this is out of stock right now which means I must have gotten one of the last ones. I never have such good luck! Thank you bud k I love it and so does everyone I show it to. If you do get in the one in the video that is sleeping I will get that one also. You must check your invoices and stock numbers.